Alternatively, have a look at the Other Therapists page for a list of other therapists working independently in Highland and Moray. The field of Clinical Psychology integrates science, theory, and practice to understand, predict, and reduce psychological discomfort as well as to promote human adaptation, adjustment, and personal development. It focuses on the intellectual, emotional, biological, psychological, social, and behavioural aspects of human functioning across the life span, in varying cultures, and at all socioeconomic levels. 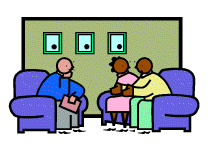 Clinical psychology services support individuals, families, and/or couples in developing the necessary skills and abilities to cope with their emotional needs and daily lives; to maximise their psychological and physical well-being; to have a sense of self-understanding, self-respect and self-worth; and to be able to enjoy good social and personal relationships. Clinical Psychologists adhere to the code of conduct and ethical guidelines put forward by the British Psychological Society. This means all information supplied by a person will be treated in the strictest confidence. However, in some circumstances, and these are very exceptional, Clinical Psychologists have a duty to share information with other health professionals (e.g. to prevent harm coming to the individual they are treating or to another person).